Blog about cryptocurrency, latest news, celebrity, Bollywood news, facts, riddle, Interesting facts, daily facts, amazing facts and latest trends. Ethereum (ETH) went through another one of its usual valleys before roaring up, settling with a price above $770. ETH grew by 17% net this week, adding another 7% on Asian trading. And just like many other digital assets, in the past month, ETH has pushed off from the lows, moving with a gradual upward trend and volumes returning and becoming more consistent. ETH is extremely important and instrumental in owning any tokens - without them, even free airdropped tokens are inactive, requiring gas fees in ETH to transact. Hence ETH may always rely on commanding a price as a utility coin. However, some believe the price may be relatively low, at around $400. Others are bullish, seeing ETH climb to $1,500 by the end of 2018. The project itself is one of the most technologically active. The issue of scaling is coming up, and for Ethereum, the solution would be sharing. 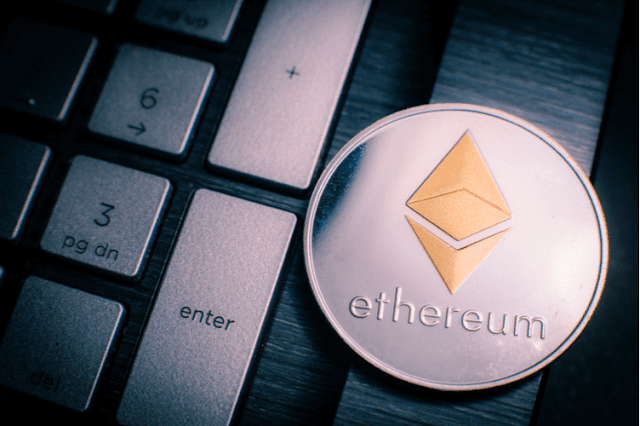 Recently, Vitalik Buterin sent out a teaser suggesting the sharding solution is closer than expected. Sharding is a database approach where some transactions are settled on side chains, before being also secured on the main chain. Some compare the approach to bank branches settling their accounts and sending the information to the headquarters. OmiseGo (OMG) will be one of the projects aiming to scale through sharding. According to the proof of concept by Buterin, shards will be high-capacity chains that will communicate with the main chain through predetermined rules of governance, ensuring the accuracy of the distributed ledger. While the Ethereum blockchain produces a block every minute, sidechains, or shards, may produce blocks every few seconds. So far, no recipe has been found for scaling a blockchain, which is by definition a slow type of data structure. However, even now, Ethereum handles up to three times the transactions on the Bitcoin network, with up to 25 transactions per second. Networks that promise hundreds of thousands of transactions per second usually rely on a form of centralization. EOS, TRON, and others, are planning to build a system of verifying servers to verify the distributed ledger. Copyright © 2017-2018. Bolbhai All Rights Reserved.